It’s a secret. But one thought leader who is called Mark Hughes has leaked the secret. You can find it in his book buzzmarketing. So I’m doing the same thing to show you how to get a job with Yahoo. To get people talking about you, you create a buzz. People start to talk about you. Eventually people start coming back at you. Mark Hughes tells the story of the little town of Halfway in Oragon. Using his approach he got everyone talking, after he persuaded the town it would be a great idea to earn some free publicity. The idea was put in place. The town renamed itself half.com. The web-publicity worked its magic, (or so Mark tells us). Later, he pulled together his experience in buzzmarketing, and came up with six ways to get people talking about your idea, and therefore about you. Now I’m going to leak the secret. It’s not even sneaky, because I’ve done it in a win-win way (I hope). I’ve added to the buzz about Mark Hughes as a leader we deserve, and maybe tested out if it attracts some folk to Leaders we Deserve. Get it? The secret is to give away a secret. That’s how the web works. To them that give away, shall it be given. So what’s the secret of getting a job at Yahoo? Another student who is also a PhD in something on the hard side of quantum physics taught me about buzzmarketing. Which is why I’m writing this post. I understand he’s inviting Yahoo on to Campus, and after that Mark Hughes. 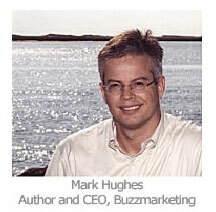 (Sorry, Mark Hughes, buzz marketer not the Football manager). He’s a really cool buzzy guy for a PhD. Maybe he’s figured out how to become employed. Maybe with Yahoo. Then, to load the bases, he tells everyone to turn up in business dress. I ask you? What’s the chances Yahoo don’t rate formal dress? I think he’ll be up there but not frocked up in business gear. That’s another secret for getting a job with Yahoo.